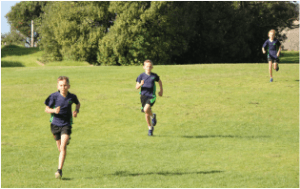 The 2019 Greenhithe School Cross Country will be held at Wainoni Park on Tuesday 4th June – 11:30am start. This event involves Years 3-6 with all children running in their age group as at Thursday 13th June. 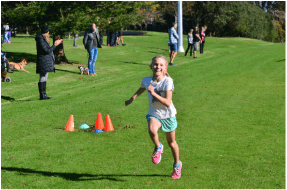 The top six runners in Years 3-6 aged 8 years and over will progress to the Interschool event (at Coatesville) the following week on Thursday 13th June.The morning starts with the 7 year old girls race at 11:40am and finishes with the 10+ year old boys. Each race will start once the runners from the previous race have cleared the course. Please see below for the course distances for each age group. All courses will be clearly marked and the children will have the opportunity to walk the course with their teacher before the event. Children are requested to wear clothing suitable for long distance running and a sturdy pair of running shoes. As the course is often wet and muddy, it is highly recommended that they bring a change of clothes as well as a raincoat and a drink bottle. 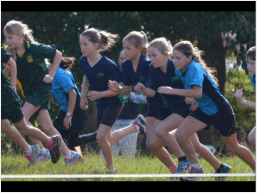 The 2019 Interschool Cross Country will be held in the neighbouring Coatesville Reserve next to Coatesville School on Thursday 13th June – 1:00pm start. Participating schools include, Albany, Upper Harbour, Ridgeview and Coatesville Primary Schools. This event is for our top boy and girl runners, aged 8 years and over. These 6 children in each age group, are determined from the results of our school cross country on Tuesday 4th June.The afternoon starts with the 8 year old girls race at 1:00pm and finishes with the 10+ year old boys. Each race will start once the runners from the previous race have cleared the course. Please see below for the course distances for each age group. All children from all schools will have the opportunity to walk the course at 12:30pm before the event commences.